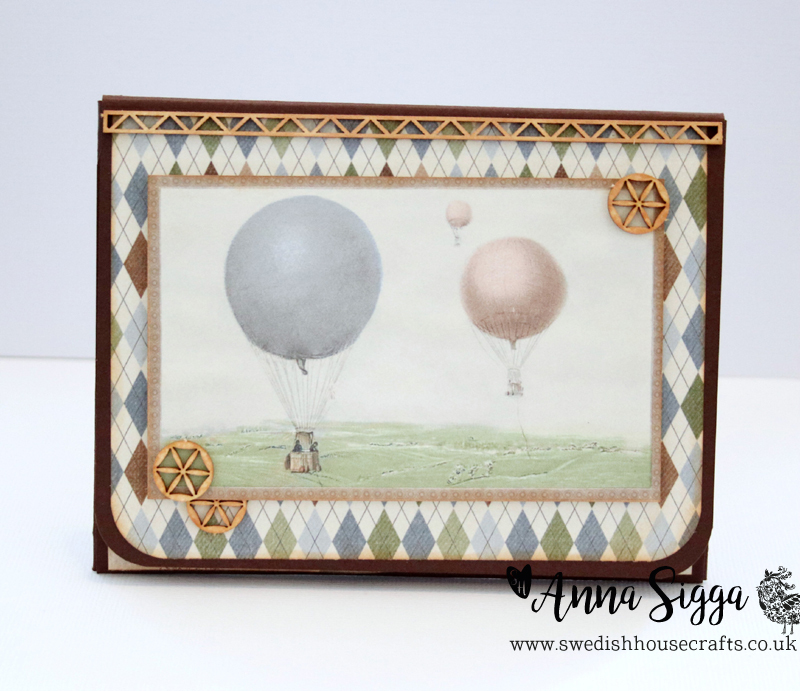 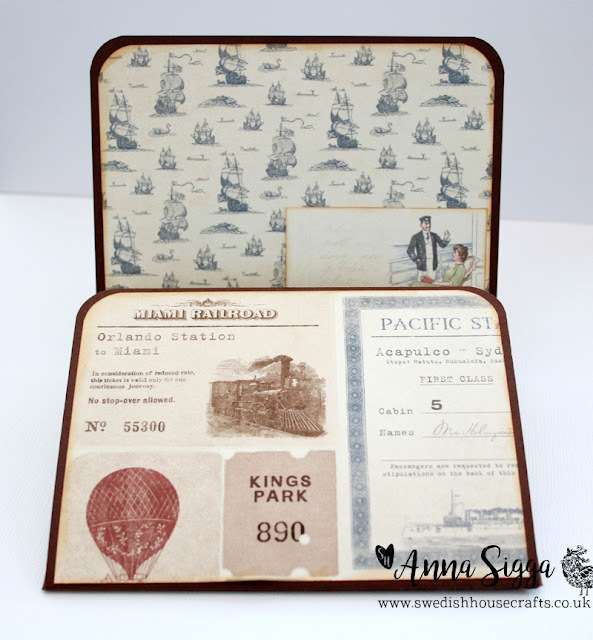 Hello crafty people, it's Anna Sigga here today and I have a wallet mini-album to share with you all. 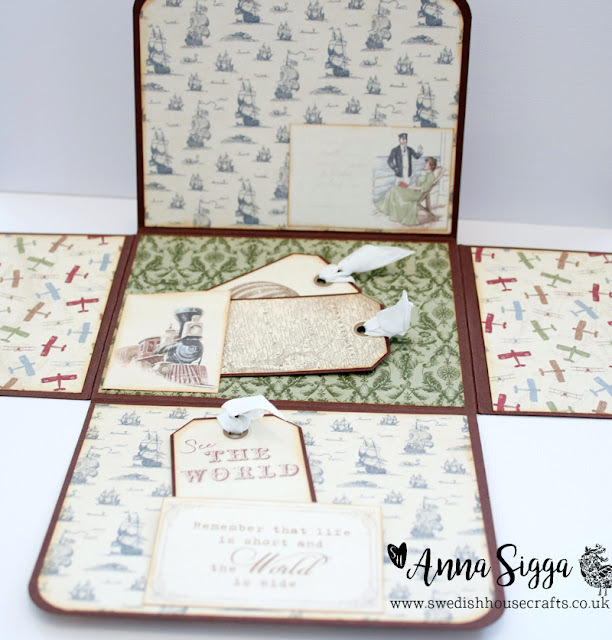 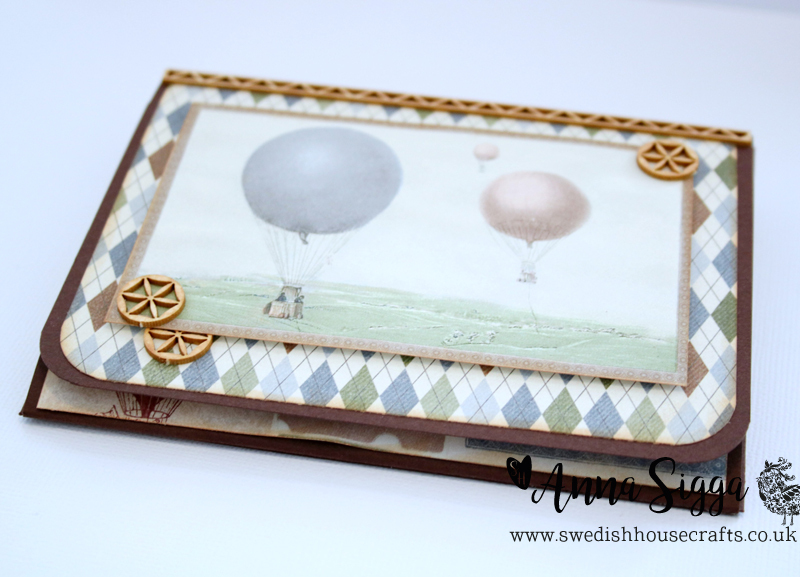 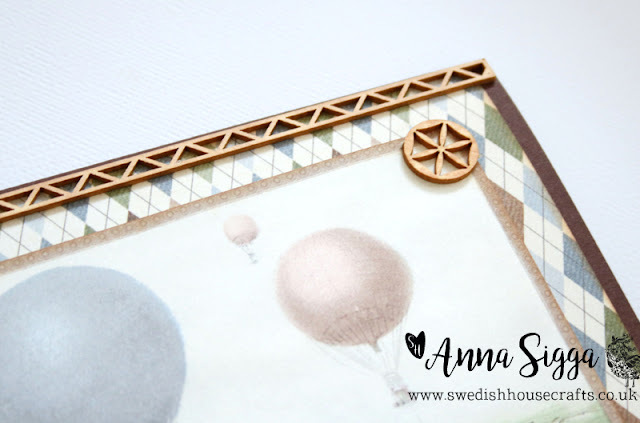 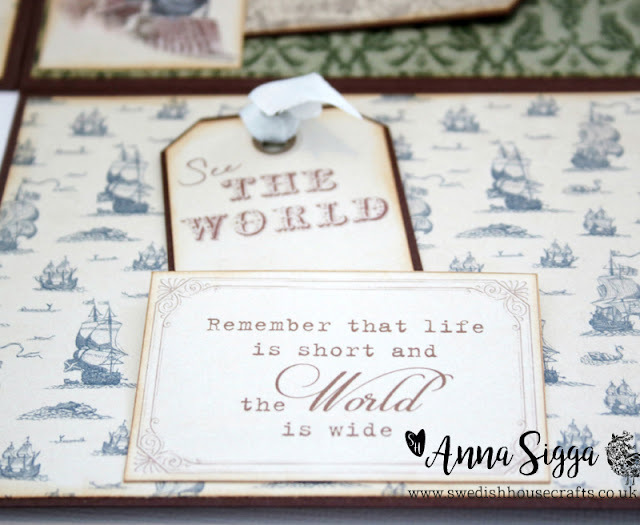 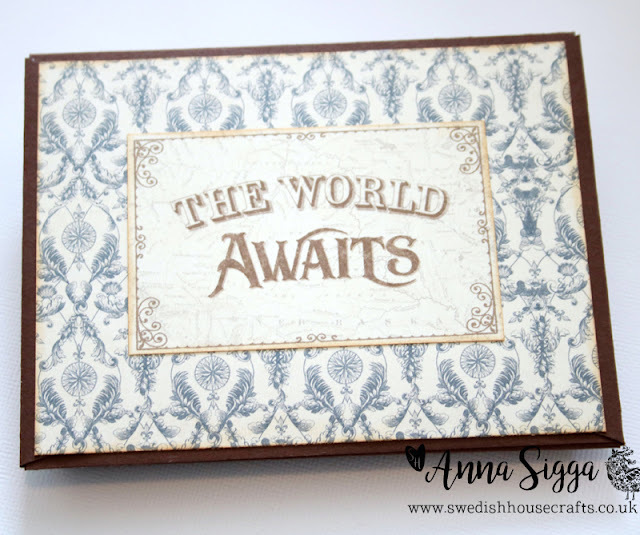 The papers I used are the new Pion Desing The World Awaits collection and one of the ever so pretty die-cuts from Laserowe. 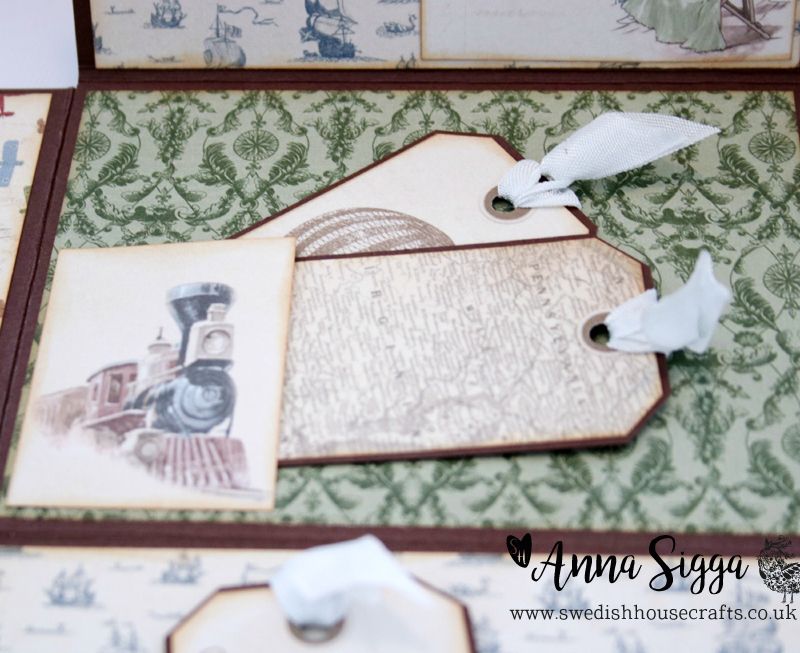 I used brown cardstock to create my mini-album and covered each and every flap with the patterned papers. 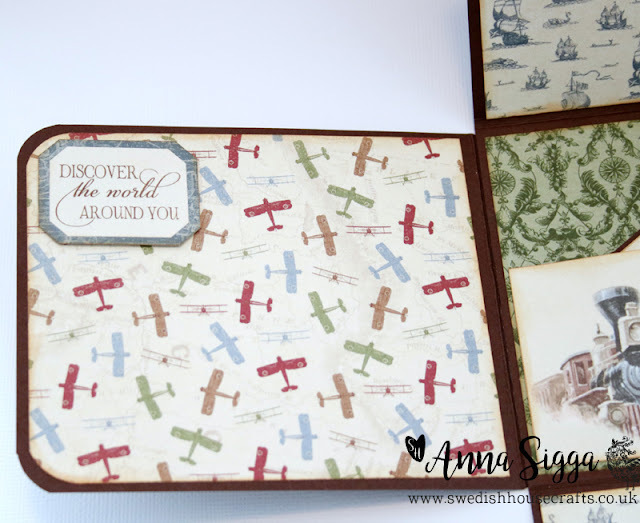 To create an even more vintage feel to the mini-album inked all of the edges with brown ink. I didn't want to cover the chipboard too much so I used my Tim Holtz Distress ink to lightly coloured the images before adhering them to the cover of the mini.